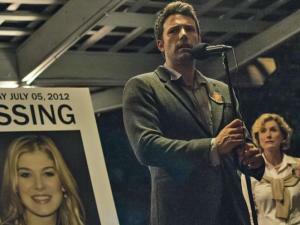 Based on Gillian Flynn’s novel and directed by House of Cards director David Fincher, Gone Girl is one of the best movies out this year! On the day of his fifth wedding anniversary, Nick Dunne returns home to find that his wife Amy is missing. Her disappearance creates a media frenzy, and Nick’s awkward behavior is interpreted as characteristic of a sociopath, implicating him in her disappearance. Trust me there’s more to this story than first meets the eye, this movie is a mindfuck. It is dark and twisted, it will have you on the edge of your seat and even with a runtime of two hours and 20 minutes the journey is fast-paced and will keep you engaged. It is also so well directed and edited I would make it a must see at the cinema on a big screen if you’re in the mood for thriller with a little bit of comedy.